Are you looking for a dentist you can trust? If you’re looking for a dentist you can trust, you’ve come to the right place. At Docklands Dental Studio, we adopt a “give” business model that focuses on providing the best possible quality care to our customers. We’re passionate about improving the satisfaction you’ll feel after visiting us. Our Melbourne-based dentists offer a wide menu of dental treatments, all under one roof. 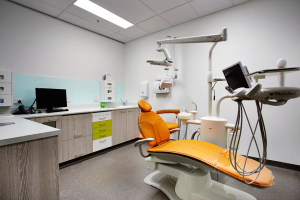 Conveniently located in Docklands, our office is ideally situated for those in search of a dentist in the Melbourne CBD area. Patients from North Melbourne, South Melbourne, and West Melbourne can easily reach us, along with those coming from South Wharf, Port Melbourne, and Southbank areas. Because we’re easily accessible by car and tram, there’s no easier practice to reach in the inner-city area! What sets us apart from other dentists? Our vision is to become the dental practice of choice in Docklands and surrounding communities. We strive to create perfect harmony between patients and our team. Each member of our team has been carefully selected to ensure everyone is inherently in-tune with our vision. We invest in contemporary technology and ongoing education, because you deserve the best that modern dentistry can offer. We are one of the first dental practices in Australia that voluntarily pursued and achieved dental practice accreditation. We comply with the National Safety and Quality in Health Service (NSQHS) standards and are periodically audited by QIP. We are the only practice in Docklands’ and Melbourne’s inner north that has been accredited. What does this mean to you? It demonstrates our commitment to your safety and the quality of our treatment. Accreditation shows that we have sustainable systems in place to ensure consistent service that complies with relevant safety and quality standards. This sounds like a cliché, but it really is at the core of our “give” philosophy. We strive to employ team members who embrace a customer-oriented and caring mindset. Our dentists are highly qualified and experienced. To ensure that we are up to date with the latest dental technologies and practices, our dentists are committed to continuous professional development and training. We’re passionate about oral health; therefore, we publish blogs to educate our patients on how they can improve their quality of life through better oral health. We digitised our practice by investing in the latest technology, including digital X-ray and the latest OPG panoramic X-ray. We use a seamless digital workflow to show you instant results. Radiation exposure is greatly reduced with digital X-ray equipment, and images have higher clarity, which helps solidify a diagnosis. 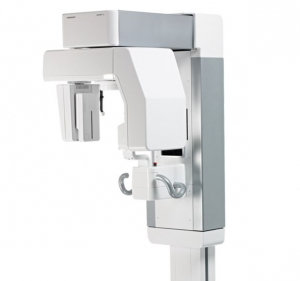 Chair-side intra-oral cameras will allow you to see what we see, for clearer doctor-patient communication. Our online appointment booking makes scheduling convenient and simple. Dental procedures have an inherent risk of spreading infectious germs between patients and team members, through contaminated instruments and surfaces. The risk is greatly minimised when strict infection control procedures are followed. 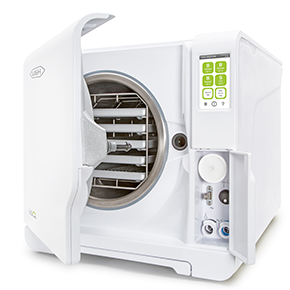 Among many other efforts, we use ventilation, instrument sterilisation (autoclave), cleaning, and protective equipment to reduce the risk for cross-contamination. All that we do occurs behind the scenes; therefore, most patients remain unaware of the drastic measures we take to minimise the possibility of infections spreading. Our competitive pricing doesn’t mean that we are the lowest priced dental provider, but rather that we offer our patients the most value for our high level of care. This is where we believe our value really stands out. Our standard chair time is 40-60 minutes, compared to the normal 30 minutes of many dental practices. For a regular check-up, we take great care to make sure that we don’t miss issues such as hidden dental caries, and we schedule appointments to allow enough time to adequately review treatment plans and answer questions. Should you need a deep dental cleaning, we can often find time on the day of diagnosis, rather than having to reschedule. We understand that certain dental treatments, such as porcelain veneers, root canals, crowns, implants, and Invisalign are a significant investment. However, these treatments provide equally significant value, in terms of improving quality of life for our patients. A beautiful and functional set of teeth contributes to improved confidence and better overall health. To make dentistry affordable, we teamed up with zipMoney so that you can finance your treatments with no deposit and zero interest. This means that for the price of a cup of coffee a day, you can afford treatments such as crowns, root canal therapy, and porcelain veneers! Invisalign treatment starts from $12 a day with no deposit. We’ve done our part to greatly improve the affordability, leaving you no reason to postpone life-changing dental treatments. The search for a good dentist can be arduous. 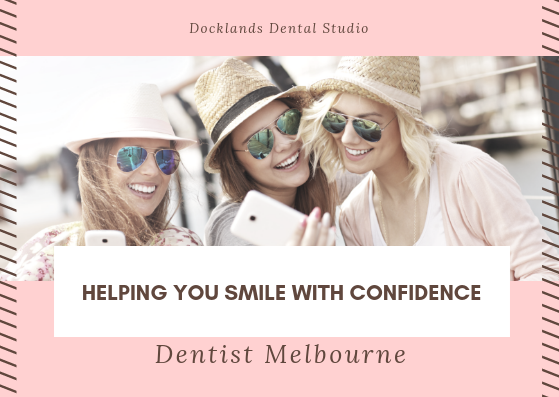 At Docklands Dental Studio, we’ve done everything possible to ensure that all of our patients leave with a beautiful smile, knowing that they’ve found a dentist they can trust. 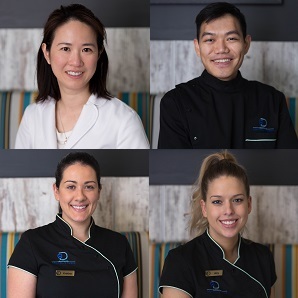 Through innovation, expertise, and a patient-centric approach to care, our dental practice offers some of the best dental services Melbourne has to offer. From North Melbourne, Melbourne CBD, Port Melbourne to South Melbourne, we’re your dentist of choice! We look forward to welcoming you. Contact us or make a booking by either calling us at (03) 9021 9487 or 0488 799 487, sending us an email at info@docklandsdentalstudio.com.au, or by simply visiting our Contact Us page. We accept and can process claims on the spot, for most health funds, through our HICAPS machine.